Mr. Limbaugh of Palm Beach is a Mac user I believe. 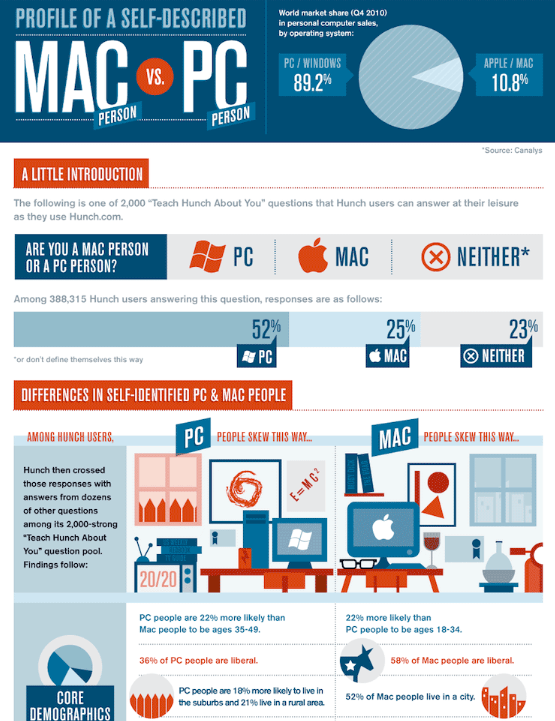 Mac users are more politically liberal, more urban, younger and more educated than their PC-using counterparts. What Is My Best Response? after I had escalated to Arcade Fire: Mountains Beyond Mountains in response to his Arcade Fire: Haiti which was a response to my Grace Potter and the Nocturnals: Paris. What is my game-theoretic best response? We usually see this as a good thing in theory, but not always in practice. When James Clapper said "“over the longer term, that the regime will prevail” regarding Libya rebels versus the government of Gadhafi, he was mostly condemned for doing so. I think that was a mistake and we may pay for it in the long term. We have aligned our selves with a small scale rebellion, that may be preferred to the current Libyan government, but one threshold question had to be: Can these rebels win, without massive outside support? It is looking more and more like the answer is and was no. In discouraging, plain talk about reality in Libya we’ve enabled the promotion of this ill advised military action. So it seems to me.